The sun comes up over Mousehole. It is a Tuesday morning, and although we are already in August, it is not yet the school holidays. Nor would the children – or their teachers – wish it to be. For they have an exciting morning in prospect; today, they take possession of their new school. 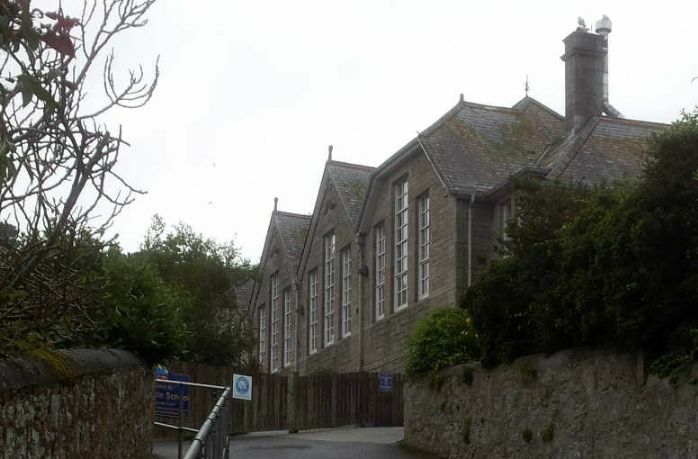 The children register in their old premises, dating back to 1848, before – as the Cornishman puts it - being “marched” over the road to be “formed up” in their new playground. The language suggests determination, discipline, and perhaps a certain nervousness on the part of the adults taking charge. We may imagine that there are high stakes involved: the chairman of the managers will be presiding, the vicar of Paul and the Wesleyan minister have both turned out (the vicar, Reverend Prideaux, will read from the Scriptures; the Wesleyan will offer up the prayers), and the teachers must demonstrate that they are worthy of their hire. 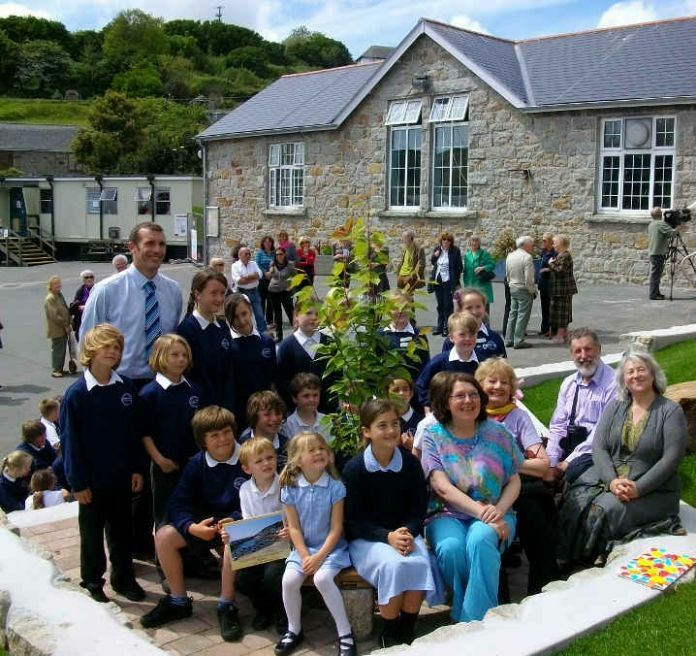 Mousehole's 1912 school building forms to background to a group celebrating the presentation of a circular bench (heavily occupied) by a group of Jewish evacuees who were in Mousehole during WW2. The Jewish evacuees at Mousehole have been written about by Susan Soyinka, the lady in blue in the picture, in East End to Land's End. The opening lines of All People That On Earth Do Dwell drift up from the new playground – demonstrating, one hopes, the habit of singing to the Lord with cheerful voice. Then come the speeches. For Herbert Tregenza JP it’s all about location; the fine south-westerly aspect, the shelter from easterly winds. The building quality is also praised – despite the wet weather that has afflicted the area since the foundation stone was laid in 1911, the new building is dry as a bone and has shown no tendency to slide or settle. The design is one of perfect symmetry. The building is, in fact, “in every way satisfactory” – well worth the £2000 it has cost. But the children are to be put on their mettle, and reminded that a building alone is not enough. These young Britishers must adopt as their motto “Nil desperandum”. They must “never be downhearted... never admit themselves defeated”. Some of the older boys – perhaps impatient of today’s ceremony, keen to end their schooling and get on with their lives – will probably have gone on to serve in the last days of WW1. Many of the youngest will have been combatants in WW2, and all those who survived into middle age will have experienced that war as civilians. But back in 1912, all that is to come. These are patriotic times, and it is neither academic achievement, nor sporting prowess, nor creative enterprise which provides the focus for the celebratory activities. Instead, it is the nation’s flag. Mr T B Bolitho – once the local MP, but now nearing eighty and enjoying family life at Trewidden – has donated a Union Jack, and is rewarded with three cheers. The children are told about the history of the flag, and prizes of half a crown are offered for the best essays on the subject. A final speech recalls the success that has been forged in the old schoolroom, whose “scholars… were found in all parts world - men who were an honour and credit to their native place and the school”. 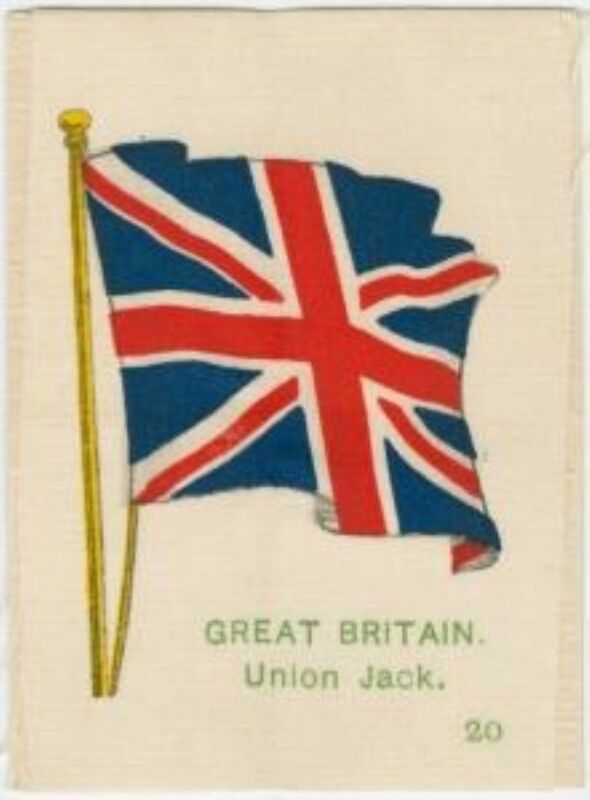 Education will help Britishers in general, and Mousehole folk in particular, to stand up against foreign competition; will keep the nation “secure”. And so we must leave them, those girls and boys of August 1912, as they settle to the task they have been set. Some are dutiful and neat, confidently spreading copperplate across the white page. Others fidget against their desks as the pen scratches and the ink blots. What is in their minds as they start their essays? What do they dream of buying with their half crown prizes? It’s a lot of money: half the cost of a watch, or (if you prefer) enough to buy 30 copies of the Cornishman.